You are at:Home»What Is Bitcoin? Lesson 2 – What Is Bitcoin? Bitcoin is the worlds FIRST most famous decentralized digital/cryptocurrency It was created by a person or persons who go by the alias of Satoshi Nakamoto in 2009. We do not know if Satoshi is a man, a woman, or a group of people. On January 3, 2009, the world changed. Satoshi Nakamoto created a system of electronic cash that is direct, between people, peer-to-peer (P2P). You can download the nine-page Satoshi Nakamoto Whitepaper here. 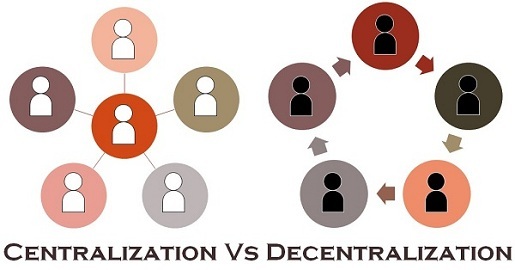 Decentralization is “The transfer of power and control away from a central authority – such as a bank, which is a central authority – to individual entities. In the case of Bitcoin (and all cryptocurrencies), that power and control are shared EQUALLY between a vast worldwide mesh computer network known as the Blockchain. (An entire lesson is devoted to the Blockchain). Bitcoin is the King of all Cryptocurrencies. Bitcoin is software. Bitcoin is an application. Like all cryptocurrencies, it is a piece of data. That data says that “YOU” have x-number of units in this currency. Every user (and participant) in Bitcoin are equal. There is no special computer on the Bitcoin network, they call just to talk to one another. Bitcoin transactions are conducted on this Bitcoin network. It is important to understand that you will hear the expression used in two different contexts. In one context, bitcoin (lowercase “b” is the actual digital cryptocurrency and in another context, Bitcoin (upper case “B”), is the computer network it runs on and the payment system. Known also as the “Bitcoin network.” (Blockchain) There are over 700,000 of these computers on the Bitcoin network worldwide and growing. You will see the two expressions used interchangeably in discussions and in print. Why Is Bitcoin So Special? Bitcoin is digital money. Does not exist in physical form. It has value because the people who use it decide it has value, not banks. Anyone in the world with Internet access or a mobile device can exchange Bitcoin. No banks. It is not a physical coin. It is a piece of data. Cannot be inflated because it is “mathematically” limited to 21,000,000 units. Physical currency is controlled by banks. Banks are “Centralized” entities. Physical currency is stored in vaults. Physical currency, silver, and gold are difficult to transport. Paper money was created to claim gold held in a bank vault. Powerful men and women decide how the money will be used and handled. If banks get into trouble, the government bails them out. Out tax dollars pay for the banking systems greed, handling, and irresponsibility with our money. When you apply for a loan, more money was created and lent to you. The banks charge you interest on those loans. Bank account holders became slaves of the Central Banking System. The “credit system” kept many enslaved and locked out of the pursuit of financial independence. The banks have the world held hostage. No privacy. How Are Bitcoin Transactions Conducted? Via an elaborate computer network known as the Blockchain. All computers in the Blockchain will hold a copy of your transaction. Computers on the Blockchain MUST agree that you own that currency. Once you are “confirmed” by the Blockchain, your transaction is sent. No risk of individual computer failure bringing down the Blockchain.